2015: Dalton Highway 401-414 Reconstruction, will start this summer and is a two year project. Construction contract award is $27 million. The scope of the project is to reconstruct the Dalton Highway from Mile Post 401-414, improvements include raising the grade seven feet, replacing culverts and surfacing the road. 2016: Dalton Highway 379-401 Reconstruction, scheduled for construction in 2016, estimated cost is $40-50 million. The scope of the project is to reconstruct the Dalton Highway from Mile Post 379-401, improvements including raising the grade seven feet, replacing culverts and surfacing the road. 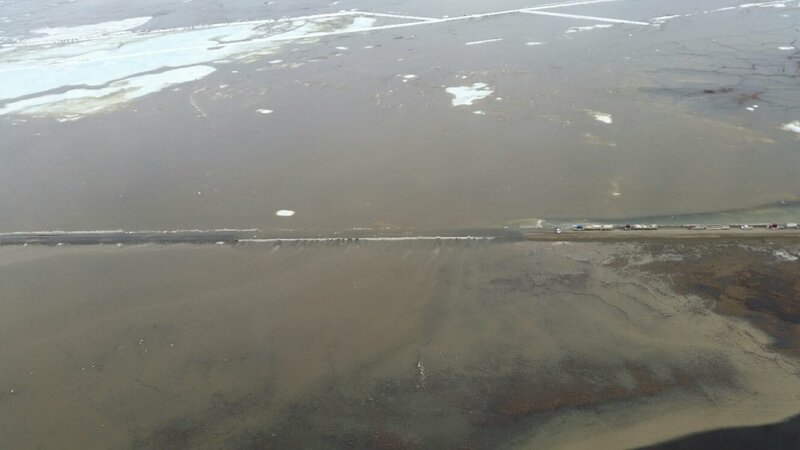 Here are two aerial photos of the flooding, both from the Alaska DOT webpage. Click on the photos for more info on the captions. On the left you can see the remnants of a berm that was created by excavators to hopefully hold the water back and direct it away from the road. But the water has now spilled over the road and broken through the berm. You can also see how the road is washing away. From AK DOT webpage. On the top of the photo are more berms that were created to direct the water away from the road. From AK DOT webpage. 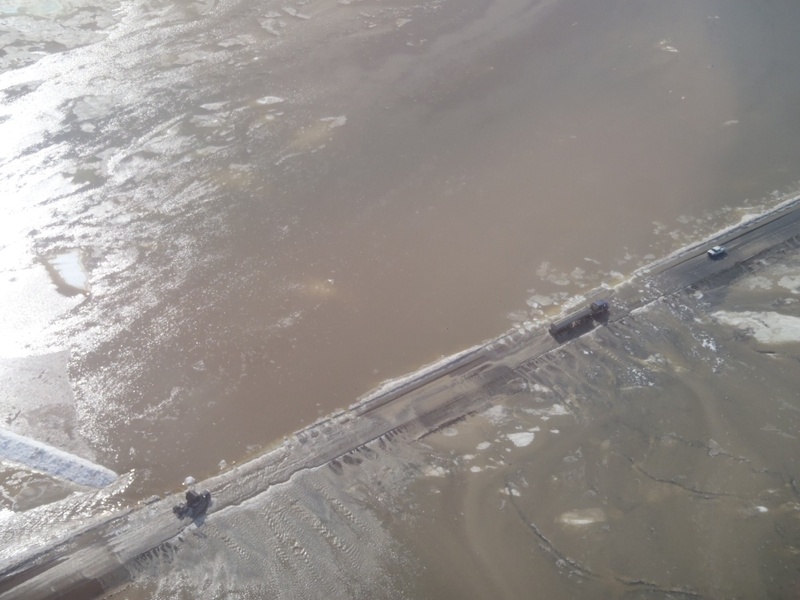 This entry was posted in Trucking and tagged alaska, dalton highway, drive, environment, flooded highway, flooded road, highway, ice road truckers, jack jessee, nature, Prudhoe Bay, road, road closure, road hazard, Sag River, transportation, truck, truck driving, trucker, trucking.